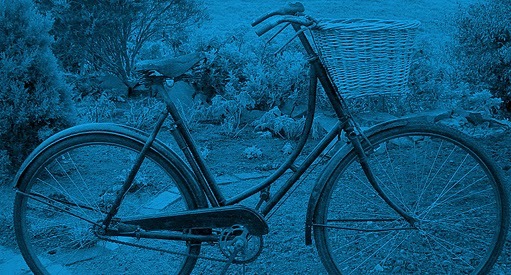 There’s a fascinating discussion going on in bike-blog-land as a result of Elly Blue’s Bicycling’s Gender Gap post at Grist. Editor’s Note: This is a guest post on Lindsay’s List. If you’re a friend of Lindsay’s, a friend of energy conservation, or just have an idea to help women live locally with a smaller carbon footprint, then send us a piece of your own through our Contact Form. She makes an interesting argument that the gender disparity in bike ridership figures could be a result of economic disparity and additional caregiving and household duties, in addition to the ‘fear and fashion’ theories. She rightly points out that both cycling infrastructure and appropriate, affordable bikes for carrying kids and cargo are missing in most North American cities. The lively comment section is well worth a read, with additional points made about racism, classism, street harassment, and public perceptions of cyclists. It’s also worth going back and reading the rest of the series of articles, which includes salient points about the actual costs of freeways and political pressure to keep the status quo. Blue also followed up on her own blog. Meanwhile the discussion has spun off onto one of our favorite bike blogs, Velo Vogue. Go read the links and meet me back here, mmkay? You’ve read it now? Good stuff, right, if not a bit counter-intuitive based on the explosion in lady-bike availability and number of women writing fantastic bicycle blogs. Instead of debating which is the most important point, let’s say that all those factors are at play in preventing women from riding at the same rate as men in North America – which they probably are, to some extent. The question is, How can we fix that? How do we encourage more ladies to get on their bikes? Can bike blogs like Loop-Frame Love, and the social rides and bikey events organized by blogs like ours, actually make a difference? Angel (my Loop-Frame Love coblogger) and I probably aren’t typical cycling activists (if such a person exists). We’re moms with 2 young kids each and minivans and small budgets who live in the suburbs. Yet we’d love for Loop-Frame Love to (eventually) demonstrate that it’s possible to live car-light under those circumstances, if not completely car-free. Why not? Our blogging heroes at Carfree With Kids, Car Free Days, Chicargobike, full hands, mamafiets, and Totcycle are already doing it on their blogs for their circumstances. So let’s be honest about the barriers we face to doing that, and how they relate to the factors mentioned above. We’re pretty lucky in a lot of ways. We’re middle-class white Canadians, so our experiences are fairly sheltered. Our husbands are not themselves cyclists, but are happy to support our interest in cycling. We’re part of a bigger local community of cyclists, advocates, and bike bloggers who are demonstrating through their daily lives and organized rides just how much fun life on two wheels can be. We’re social creatures, so it’s probably important in helping us stay motivated that we have that support system. We live in a city with progressive urban planners who are in the process of improving the infrastructure for public transit and active transport, and we live in neighborhoods that have multi-user paths and/or sharrowed bike lanes that we can safely ride to useful destinations. However, we also live in the closest big city to the Oilsands, in a politically conservative part of Canada, in a place where a large proportion of the automotive vehicles using the roads are pick-up trucks and sports utility vehicles. So, when we venture outside the Multi-Use Paths (MUPs) and sharrows, we don’t always encounter drivers who are predisposed to be kind to bicycle users. We’ve been honked at and yelled at. We totally understand when our friends who haven’t ridden since their teens ask hesitantly about traffic on the route for the next Critical Lass ride. That said, the infrastructure in our neighborhoods has made that a pretty minor concern for our day-to-day rides. We’re also really lucky to be part of a community with an amazing not-for-profit—Edmonton Bicycle Commuters —that makes it possible to buy a low-cost vintage bike and turn it into a safe, reliable ride we can wear our regular clothes on. But turning it into a grocery-getter and a good way to get young children from A to B can be a bit of a challenge, since that requires retrofitting a new rear rack that can bear heavy loads to an older bike. We still wish we could get our hands on a longtail or cargo bike without having to blow our budgets. Going car-free so we can increase our bicycle budgets would not be not practical for our families without moving house, and we’re both still figuring out how we can run bike errands with two kids in tow, since neither of our eldest children are strong solo cyclists yet, despite being too big to be passengers on our current setups. We’ll be actively working on that during the summer vacation from school. We can testify that how busy our day is and how pressed for time we feel does directly affect how much (or how little) we ride. A quick run to the grocery store without children for a few items is easily managed by bike. But multiple errands with the kids becomes an all-day adventure when you’re not properly set up to do it by bike. A longtail or cargo bike would make that much easier, but ferrying the kids to extracurricular activities in other parts of the city immediately after school still would require a car because of the distances involved. If we were commuting for work, public transit would probably be more time-efficient than cycling, because we both live walking distance from major suburban transit hubs (As it happens, my husband has found that taking the Light Rail Transit (LRT) downtown is usually quicker than driving, and more pleasant). So, in reality, the ability to use our bikes while caring for our children and living our busy lives has been our single biggest barrier to riding more. With many thanks to The Loop-Frame Love Collective for permission to cross-post. Loop-Frame Love is named for the vintage loop-frame stepthrough (aka ladies’) bicycles that are our first love, and was started as a record of our restoration, craft, and research projects associated with old bicycles. We also write about cycling infrastructure & advocacy, and plan the Critical Lass rides in Edmonton, Alberta, Canada. The LFL Coblogging Collective are Deborah, Angel, Nicki (in Edmonton) and Jennifer (in Seattle).